Growing Pole Beans require some type of support. Be sure the trellis, string, fence or whatever is in place before you seed or transplant from flats. 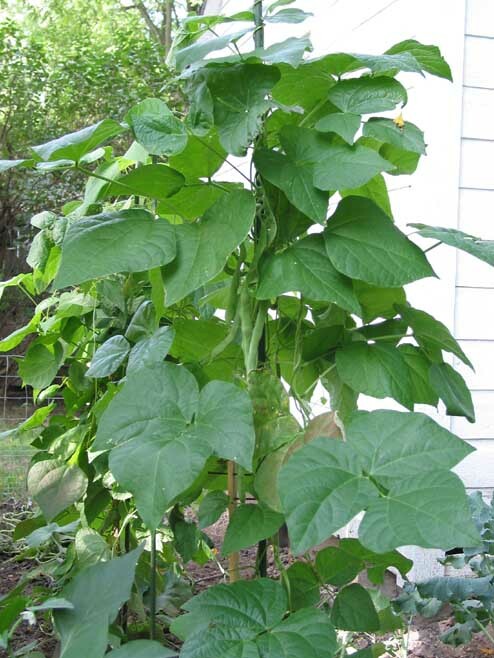 Pole beans require initial help/training in climbing. .
Diseases: Angular Leaf Spot (fungal disease) can be a problem in damp conditions. Less common diseases such as Anthracnose, mosaic virus and bacterial blight can occur. 'Kentucky Wonder' - an old standby, string pole variety that tastes great. 'Lazy Wife' - a German heirloom.